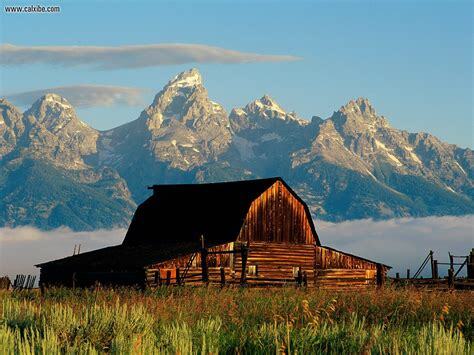 Located between the Gros Ventre Range and the Teton mountain range in the Wyoming lays the valley named Jackson Hole, situated near the Idaho border. The place was named after David Edward ‘Davey’ Jackson in 1914 as Jackson. Later it got its surname ‘hole’ by early mountain men who after entering the valley had to drop by steep slopes which seemed to be entering into a hole and thus the name. It has the busiest and largest commercial airport in Wyoming making it obvious that there are a large number of tourists visiting the place. One of the best places for winter adventures, Jackson Hole, beckons to outdoor enthusiasts who tend to enjoy the mountains and snow. Apart from just snowy mountains, Jackson Hole boasts of and a variety of magnificent animals residing there at the national parks. To top it, this place has some amazing art galleries that make art lovers flock the place year round. If you're looking for cabins in Jackson Hole, there are amazing places to stay in. Best known for its ski area and an activity center for the summer, The King (moniker) is known for its range of sports activities. During the summer one can indulge in adventures like Hiking, Paragliding, Bungee Trampoline, Horseback Rides, Mini Golf and various other things which make it a hotspot for tourists. 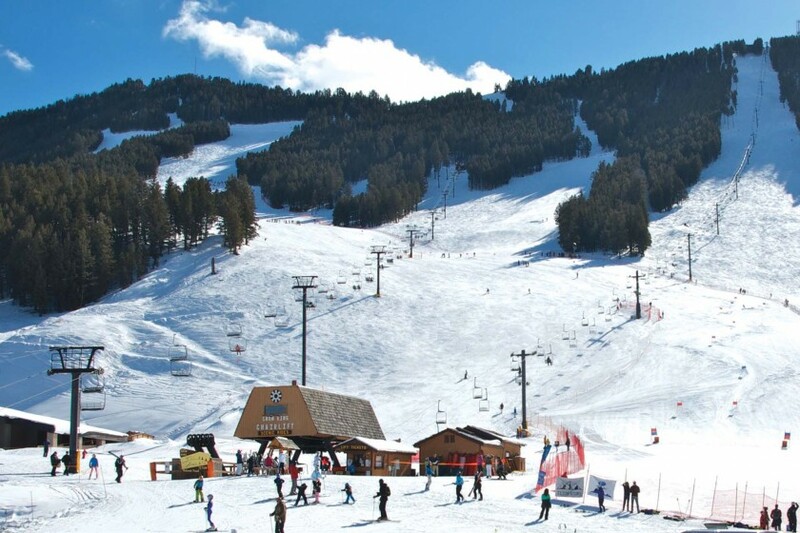 And for winter too they have Ice Climbing, Snowshoeing, and Snow Tubing among others. Hotspot for getting an adrenaline rush which by far has the best coaster every, surrounded by nature and feeling the wind blow past you while you snake down through twists and turns, for a mile. The Cowboy Coaster is a fun-filled activity that constitutes various loops, drops, and curves. It takes riders approximately up to 456 feet up the Snow King Mountain and then one embraces their craze filled fall from that height and swishes down the twists and turns, giving a rider an amazing experience to cherish forever. How often do you get on an exhilarating roller coaster with mountains around you and a valley at the bottom with an amazing view? If you are fond of slides, then this is that one place you need to visit. The Alpine Slide slithers down the mountain through slopes of wildflowers and 2500 feet of forest. To get to the top one is chair lifted and can treat their eyes to the magnificent view of the valley and the Tetons as far as the eyes can go. And to descend from the top, one can avail to the slides which are well instructed. Making it a point of great fun-filled activity, people aged above three can slide down on a sled with wheels and change their speeds with brakes. 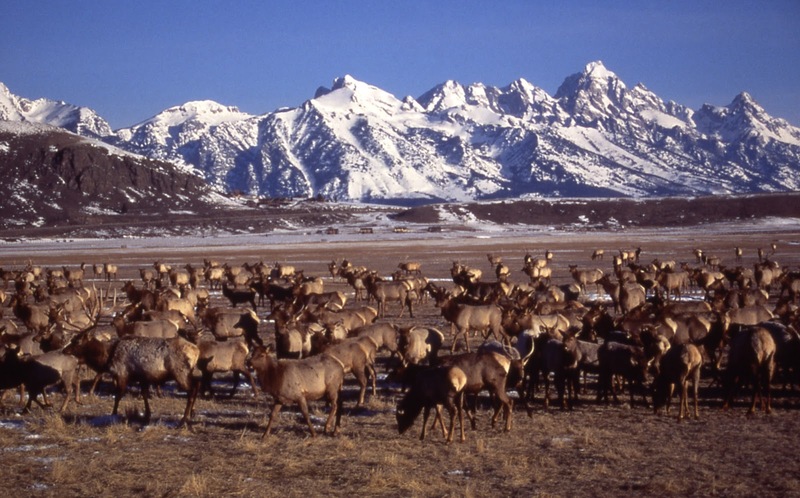 In the year 1912, in order to provide sanctuary to one of the largest elk herds (also known as Wapiti) the National Elk Refuge was established. In the present day, thousands of Elks take refuge here during the winter and then begin their migration, usually after the first snow storm. And the best part apart from getting to see Elks is that sleigh rides are available via private contractors and they also offer educational programs at the Jackson Hole & Greater Yellowstone Visitor Center. 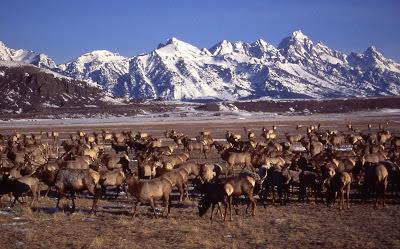 It is around two miles away from the Grand Teton National Park entrance, situated above the National Elk Refuge. 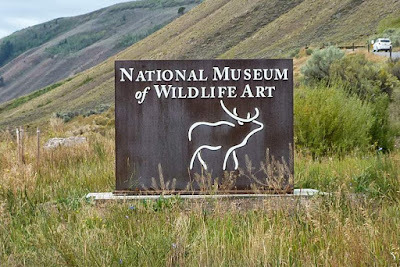 The reason why one must make a visit to the museum is that it has more than 5000 artifacts of Animal Art. An interesting fact that completes this place is that it houses Moran’s painting of the Yellowstone dating back to 1872, which had helped persuade the Congress to declare Yellowstone as the world’s first national park. It is commonly known as the ‘Town Square,’ the George Washington Memorial Park is the cultural and mercantile center of the Town of Jackson. The park had gotten its name to memorialize George Washington on the occasion of his 200th birthday. The place has an ice skating rink and also hosts numerous fun activities all year round, making it special during the holiday season. During which the arches and the surrounding area is lit up gorgeously to commemorate the festivity. It is an art gallery located at 130 W. Broadway, which houses beautiful pieces of artwork of contemporary paintings, sculptures and photography. Arts displayed here vary from renowned national artist to international artists, making it a major art center in the entire state of Wyoming. Presently it has been recognized as the ‘Art Center of the Rockies,’ making it an attractive spot. If you are looking for a place to laze around in the semi-wilderness, then this is the place for you. The park has a long creek passing through it and surrounded by trees and proper ground best suited for picnics. Away from the hustle and bustle of the city and its noises and dust, the park is serene and provides a dose of greenness to the eyes. A good place for a stroll with your furry friend, because pets love to come here given its high content of quietness and nature. Jackson Hole has a lot to offer to people, be it fun-filled activities, a quiet time in the wild or a date to the art gallery. Be it summer or winter; you shall not regret visiting Jackson Hole, as it is one of a kind.